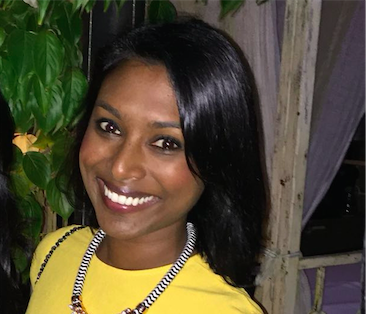 Which state will end open defecation first? 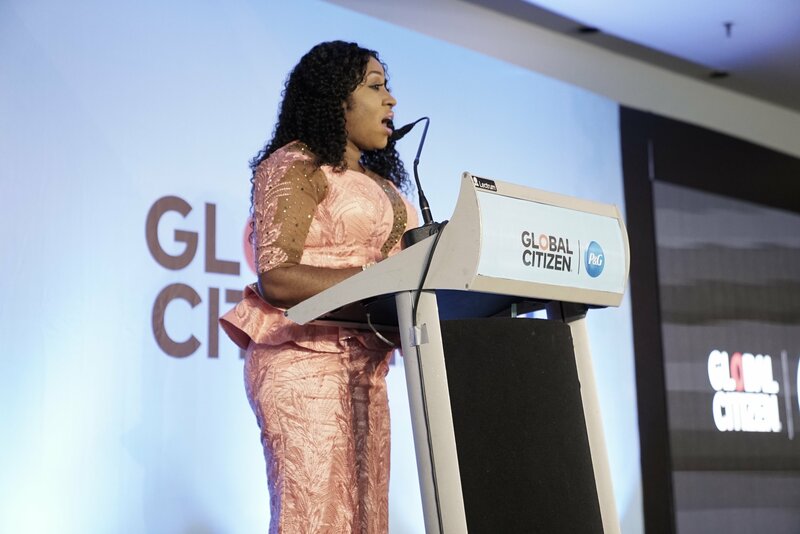 Global Citizen hosted a World Water Day event in Abuja, Nigeria, on March 19, with co-host Procter & Gamble and associate partner the Water Supply & Sanitation Collaborative Council (WSSCC). 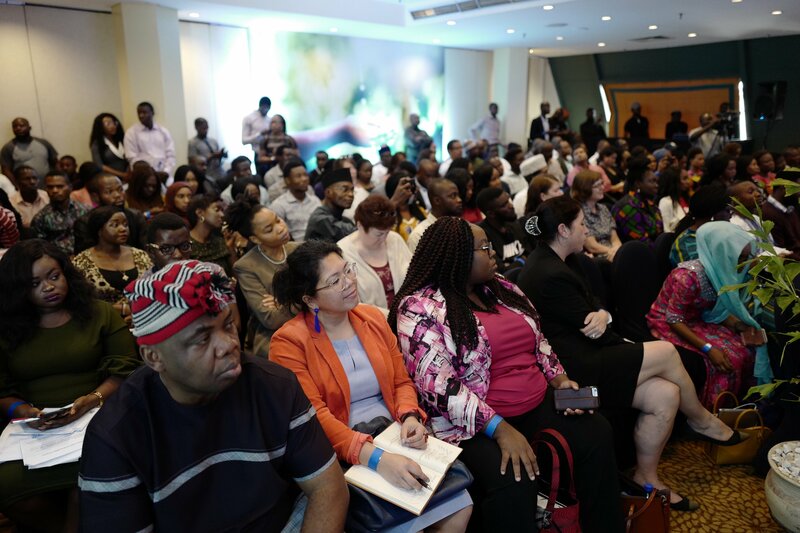 The event convened local and national policymakers, NGOs, grassroots activists including United Purpose, and influencers to talk about sanitation in Nigeria. The event was part of Global Citizen’s ongoing campaign to get Nigerian governors to prioritize and invest in clean water and sanitation initiatives. The campaign aligns with the federal government’s water, sanitation, and hygiene (WASH) priorities as well as the priorities of our Nigerian partners working tirelessly for sanitation across the country, who invited Global Citizen to work with them on this crucial effort. Since the launch of the campaign, more than 145,000 actions have been taken by Global Citizens urging Nigerian state governors to invest in clean water and sanitation. Currently, 70% of Nigerians do not have access to clean water and sanitation, which often causes life-threatening illnesses, decreased school attendance, missed work days, and poverty. Additionally, 1 in 10 children in Nigeria lose their life before the age of 5 because of the widespread lack of access to clean water and sanitation, which often leads to deadly illnesses such as diarrhea, cholera, and typhoid. In November 2018, President Muhammadu Buhari declared a state of emergency on Nigeria’s water supply, sanitation, and hygiene. The event in Abuja gave an opportunity for a number of Nigerian states to pledge their commitments to investing in WASH and, in particular, ending open defecation. High level representatives from the governments of Ondo, Edo, and Cross River along with the Minister of Water Resources participated in the event. Dr. Betta Edu, speaking on behalf of her governor, Benedict Ayade, provided an accountability update on Cross River state’s commitment of $15 million over five years to fight open defecation, which was made at the Global Citizen Festival: Mandela 100 last December. Edu then called on all Nigerian states to join Cross River State in ending open defecation. In response, Yetunde Adeyanju, executive chairman of the Ondo State Rural Water Supply and Sanitation Agency, speaking on behalf of her governor, Oluwarotimi Odunayo Akeredolu, said she accepted the challenge to applause from the entire audience. She said that Ondo would be the first state to achieve open defecation free status in Nigeria. Adeyanju also spoke of Ondo State’s prioritization of water resources, as well as a unique law binding every household to installing a toilet, saying that what was left was now the implementation. Akongie Oboh, permanent secretary, Ministry of Energy & Water Resources — speaking on behalf of her governor, Godwin Obaseki — announced that Edo State was prioritizing sanitation and water resources in the state. Global Citizen will follow up on this announcement to continue campaigning for clear targets and a roadmap to achieve this. 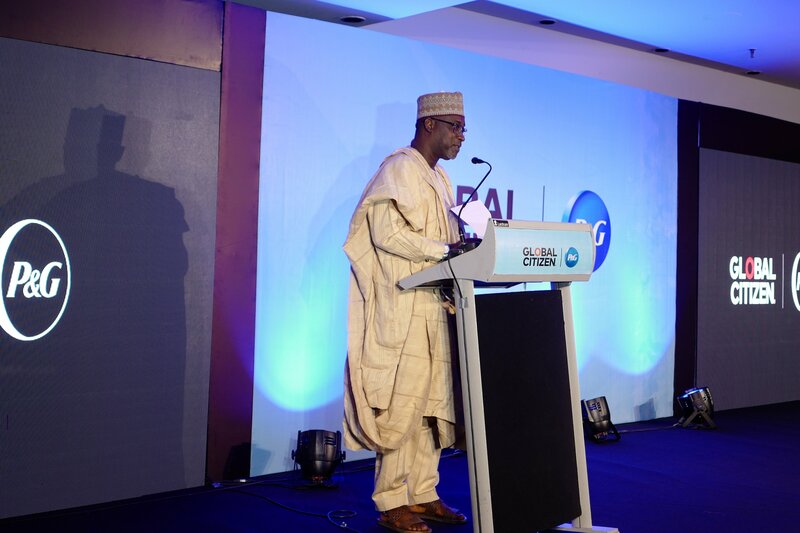 Federal Minister of Water Resources Suleiman Adamu also announced that he achieved his commitment made at the 2017 Global Citizen Festival to work with partners such as WSSCC to empower 5.5 million people to achieve open defecation-free status by 2018. He also reaffirmed his country’s commitment, announced at the 2016 Global Citizen Festival by Amina Mohammed when she was Nigerian Environment Minister, to end open defecation in Nigeria by 2025, and spoke to his government’s declaration of a national state of emergency for water and sanitation and its action plan to address this crisis. Following on the minister’s speech, a panel moderated by journalist Chika Oduah discussed the importance of taking on the crisis comprehensively, which includes promoting WASH education and behavior change in addition to supporting access to products, facilities, and infrastructure. The panel featured Priscilla Achakpa (National Coordinator, WSSCC), Temitope Iluyemi (Director, Global Government Relations, Africa Operations, P&G), Teslim Giwa (Appropriate Technology Enabled Development Manager, PIND), and Uzo Aduba (actor and Global Citizen WASH champion). Aduba, who has Nigerian heritage, shared that she was inspired by the frontline workers working to achieve progress on the ground, and called on the Minister of Water Resources to support the states and partners who are working on making a difference. The panel urged leaders to prioritize access to clean water and sanitation, and Aduba provided a bold call to action to the minister and Nigerian government to take strong and concrete action to tackle the WASH crisis. The panel was followed by a moving performance by Nigerian musician, Falana. In 2019, Global Citizen will continue to work closely with partners including WSSCC, United Purpose, NEWSAN, IDEE, and others to campaign for Nigerian state governments’ investments in clean water and sanitation.